Uniting Minnesota together through sport. To improve the health, well-being and outlook of participants through access to sports and healthy, safe environments. Providing opportunities for young athletes to participate in sports through free or reduced program fees. Enhancing the user experience for all visitors in an environmentally conscious manner. Developing new programs and events to encourage sport sampling and instill character development. A barrier to youth participation in athletics can be found in the high costs associated with sports. Specialized equipment, participation fees, transit and more can all add up. 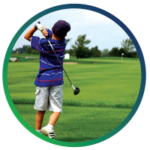 The Fund For Play is taking initiative to provide low and no-cost sport sampling program options. We want to get our young people active, engaged and participating in sports no matter the situation. It has been proven that access to safe green space and fresh air is beneficial to reducing stress, anxiety and much more. The ability to run around and get exercise in open space sets a foundation of movement and play in children that can last a lifetime. Unfortunately, too many of our children lack adequate access. The NSC Fund For Play will be improving the access and quality of outdoor facilities for children and families. Our first initiative is to plant more trees at the National Sports Center. Sport specialization is a trend in youth athletics that has the side effect of pushing some kids out of sports. The NSC Fund For Play will provide a safe, healthy and supportive environment for participants to engage in sport sampling. 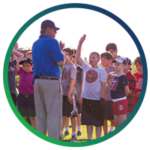 Providing opportunities for a broad range of kids to try a variety of sports to find out if there is a good fit. 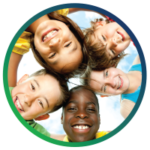 NSC Fund For Play (The Fund) is a 501(c)3 non-profit organization dedicated to the promotion of health and wellness in our community. It was founded as the donation and social welfare arm of the National Sports Center Foundation. If you would like additional information about the NSC Fund For Play, please contact the webmaster.